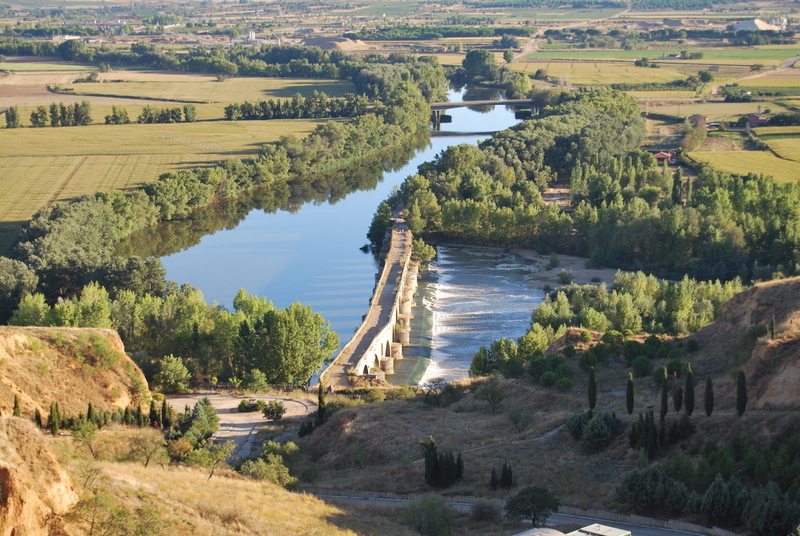 In 1476, during the civil war between Isabella I of Castile (known as Isabel La Católica) and Joanna (Juana) la Beltraneja, supported by the Portuguese king, several people from Toro, supporters of Isabella and leaded by Antona Garcia, agreed to help the Castilian Army to take Toro. Isabella was advised by a shepherd’s wife that part of the Portuguese troops would be out of Toro 3 days later and it was a good opportunity to attack the city. The attack failed but raised suspicios of the conspiracy and all the accusation went directly to Antona Garcia. All the conspirers supporting Queen Isabel were sentenced to the gibbet in the public square and Antona was hung at the gates of her own home as a lesson. The shepherd Bartolome after Antona depth, helped the Catholic Kings troops to go into Toro. And the Catholic Kings, once Toro was taken, rewarded Antona’s faithfulness and heroism by ordering gilding the gate of her home and giving to her five daughters and all their sons, daughters and descendants exemption tax and perform some services, an impressive privilege that lasted for more than 400 years. Following many years of disrepair, the recently renovated Palacio has opened its doors to show the splendor of the era throughout the bedrooms, common areas, and, of course, in its food and wine offerings. 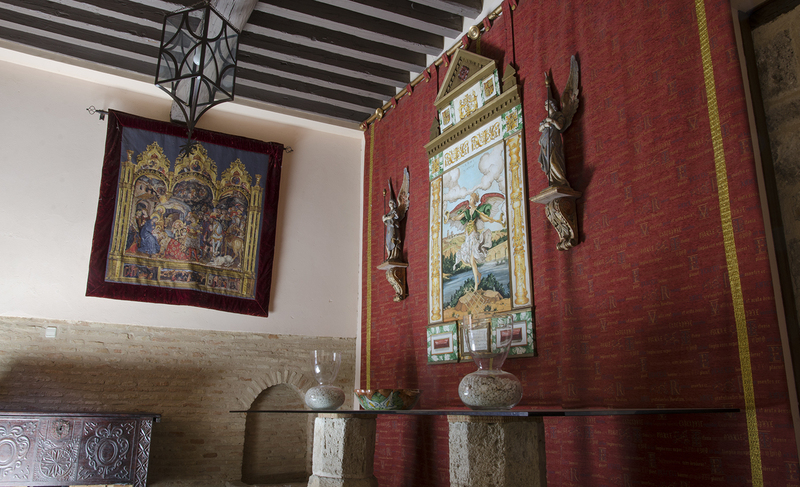 Housed in a 15th-century building, Palacio Rejadorada is located in the historic center of the city of Toro, just a step away from the Collegiate Church of Santa Maria and the Plaza Mayor. Its rehabilitation was carried out with the utmost respect for the history and architecture of the building, resulting in a hotel with singular charm in an environment of enormous beauty where to enjoy the calmness and tranquility.